In Segerstrom Concert Hall, the Philharmonic Society of Orange County continues its hit parade of visiting orchestras – each, it seems, better than the last. After the Taiwan Philharmonic, the Czech Philharmonic. I heard the second of its two concerts (Thursday, Nov.8), which featured Tchaikovsky’s ever-popular Piano Concerto No. 1 and Dvořák’s tragic E-minor Symphony No. 7. It was hugely satisfying. 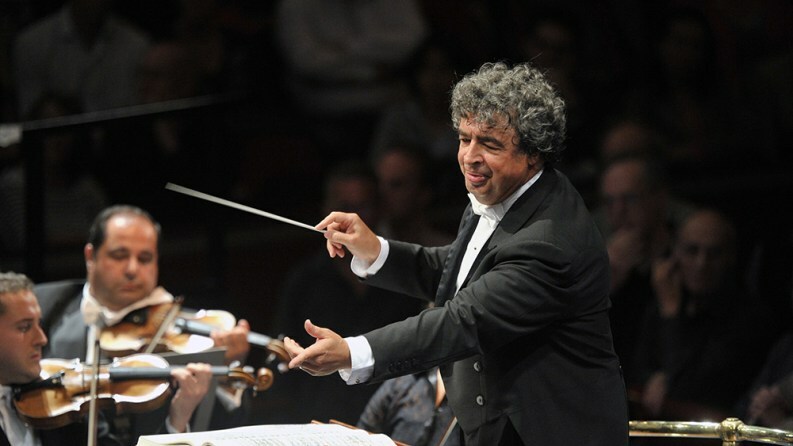 Semyon Bychkov is an exceptional conductor, and he seemed to draw out effortlessly the warmth of tone and the easy charm of phrasing for which the Czech Philharmonic has long been famous. I cannot explain how a great orchestra can sound mediocre or how a mediocre orchestra can sound great under different conductors. But for this concert, I observed a happy combination of keen direction, right repertoire and old instruments passed down from generations: the liquid-silver flutes, the rustic horns, the warmly articulate strings with just the right amount of vibrato and old-fashioned portamento that gave a sublime ending to the Seventh Symphony’s ‘Poco adagio’. To the Tchaikovsky concerto, Mr. Bychkov and Kirill Gerstein, the Russian soloist, brought like-minded interpretation on the rarely heard 1879 ‘original’ version. The result was brilliant and utterly convincing. The difference between this and the traditional (1894) version is suble to the untrained ears – arpeggiated soft opening chords, longer cadenzas, expanded ‘skating passage’ for the winds and piano in the final Allegro – and makes the Concerto sound more lyrical. The fast section of the Andantino, traditionally played too fast (“Prestissimo”), received a lively and lyrical “Allegro vivace assai” reading from Mr. Gerstein, as prescribed by the composer. Happily, there was enough vigor and plenty of drama to make this one-off piece worthwhile. As if to make up for the ‘soft spots’, Mr. Gerstein dialed up the decibels and energy on the remaining sections to remind everyone that old traditions die hard. Power and grace also informed Mr. Gerstein’s delectable encore – Chopin Waltz op. 42 in A minor. In Dvořák Symphony No. 7 in D-minor – a stern piece written in the wake of the deaths of Dvorak’s mother and eldest child – Mr. Bychkov underlined the formal logic as if it were a Brahms symphony, without sacrificing emotion. This magnificent performance, full of dark sonorities and biting rhythms – from the opening bars to the waltz-like Scherzo – recalled the ‘tragic’ readings by Karajan with the Berlin Philharmonic, and Bernstein with the New York Philharmonic. Eloquent woodwind soloists and a happily blended woodwind choir provided the more memoral highlights. Two glowing encores, Dvořák Slavonic Dance and Brahms Hungarian Dance No. 5, guaranteed the unforgettable sound of the Czech Philharmonic would remain in the audience’s ears and minds for weeks to come.